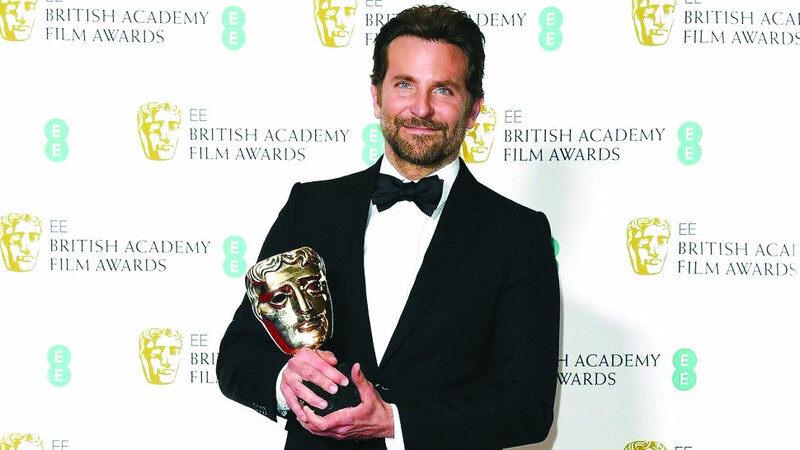 Supermodel Irina Shayk gave a standing ovation to her beau Bradley Cooper after his debut directorial A Star Is Born won Best Original Music trophy at the 2019 British Academy of Film and Television Arts (BAFTA) Awards. Cooper gave a moving speech in which he dedicated the award to his co-star Lady Gaga, who couldn’t be a part of the gala as she was in Los Angeles for the Grammy Awards night. “I got to fulfill a dream I never thought would happen. I share this with Lady Gaga tonight, the music was the heartbeat of this film,” Cooper said. “I also need to thank Irina for putting up with me while I was trying to make music in our basement for a year.” he added. Shayk and Cooper colour coordinated their ensembles —black trouser suits — for the event.